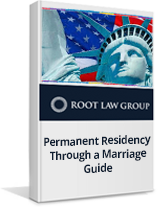 Obtaining permanent residency, commonly known as green card, through a marriage to a U.S. citizen might be the easiest way to gain permanent residency in the U.S. But don’t be fooled by the appearance of simplicity. One misstep can mean months of delay or even a denial. This guide will walk you through the whole process step by step to maximize your chances.